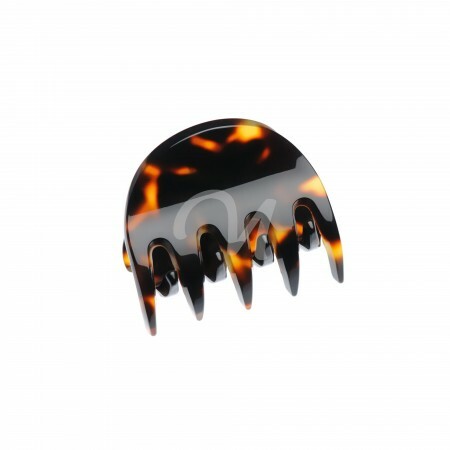 In the article we will try to explain what kind of hair accessory it is, when it is used, which hair claw kinds exist, how they are different from one another, what are the difference between hand made and machine made hair claw and of course, which hair claw should you choose when buying online. 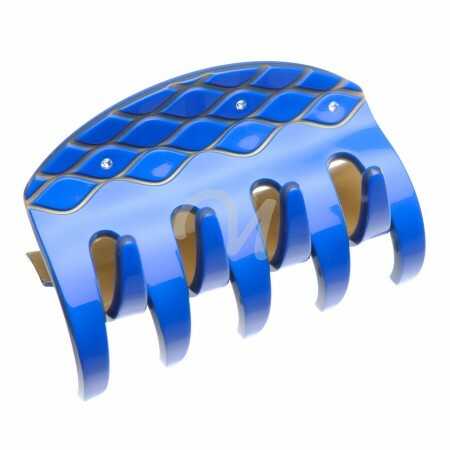 As the most popular name for this type of hair accessory is hair jaw, we will use this term in the rest of the article. 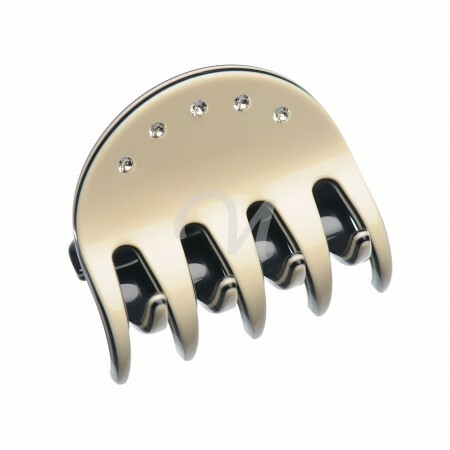 Hair jaw, in opposite to hair accessories like headband, hair barrette, hair pins – is quite new type in hair decoration range, because of its complexity to make it. It has not only the jaws, but also the part that hold it together and spring to keep the hair jaw closed. They were invented on 20thcentury and are loved by ones with long hair since then. 1) extra small hair jaw (XS). 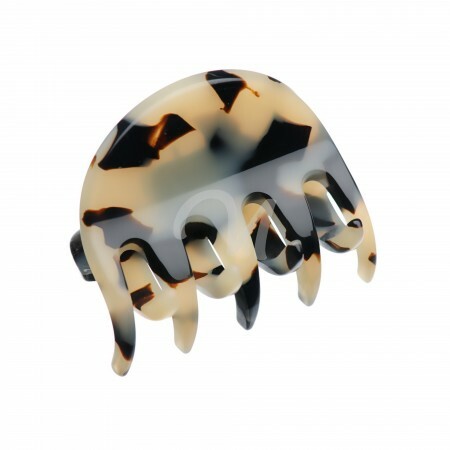 Soon we will add to our range medium plus size and extra large size. 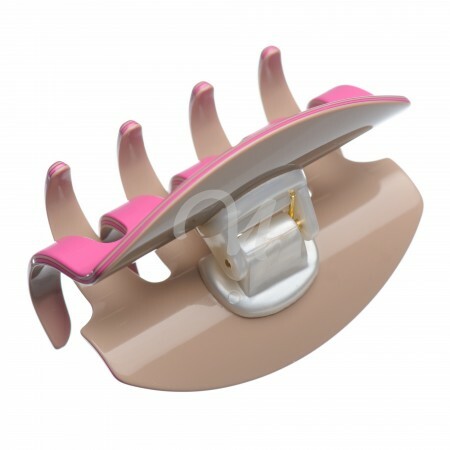 There are actually 3 main groups of hair jaws (in terms how they are made). The first one is 100 % machine made hair jaws. 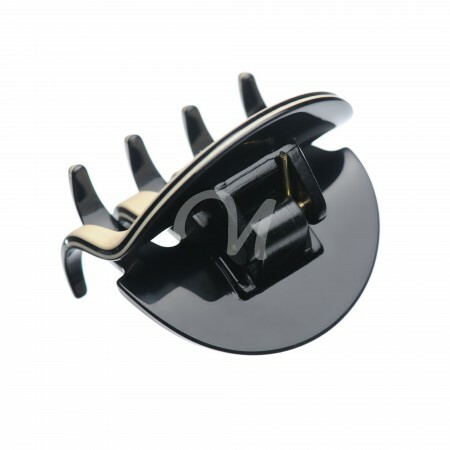 They are made by injection molding machine – 2 parts of jaws are injected already with all its parts and then they are assembled by hand with a metal spring that holds 2 pieces together and gives a hold to keep it closed. After words they are colored with desired color and varnished to protects their color. Second one is semi-machine made hair jaws. 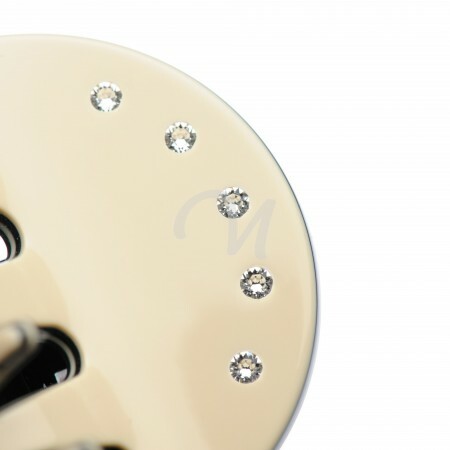 They are the combination of machine made and hand made items. 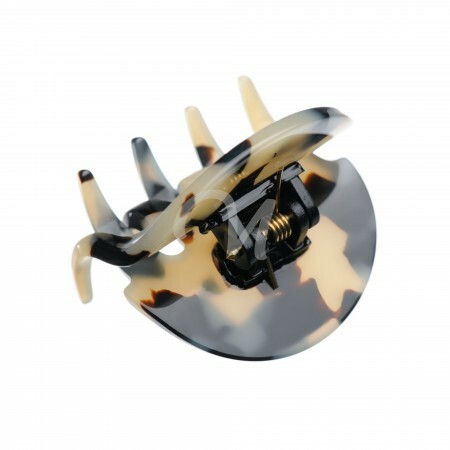 The most difficult part of hand made items are to bend each part by hand – and this stage is eliminated in this way of making hair jaws, because the teeth of hair jaw are made by injection molding and the “body” parts of claws are hand made, then they are all glued together. 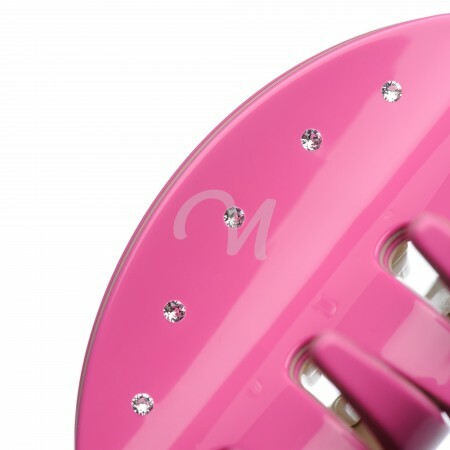 They usually look more beautiful than 100 % machine made, because half of the hair claw has silky touch and beautiful color, but you can still see the injection molded teeth as well. 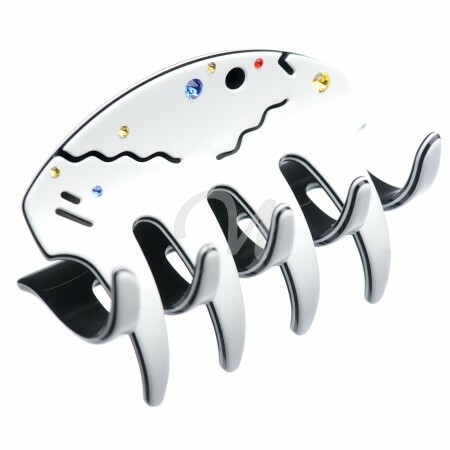 To sum up, there is no definite answer when it comes in choosing which hair jaw buying online is the best choice. 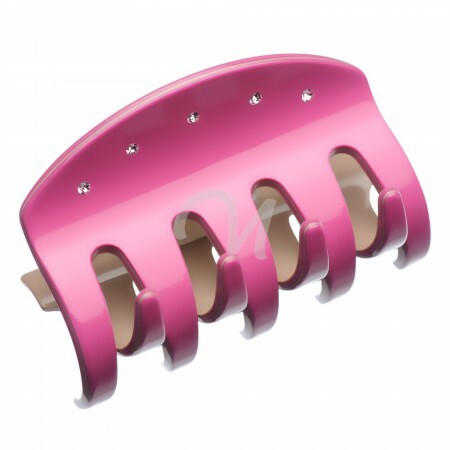 Ones, who like changing their hair style and hair accessories as much as outfit or who need a technical piece of hair jaw to keep hair in place – buying a machine made hair jaw might be the right choice, and the ones the like classic style, “slow” fashion, who are keen on precision and details – might want to buy the hand made hair jaw. 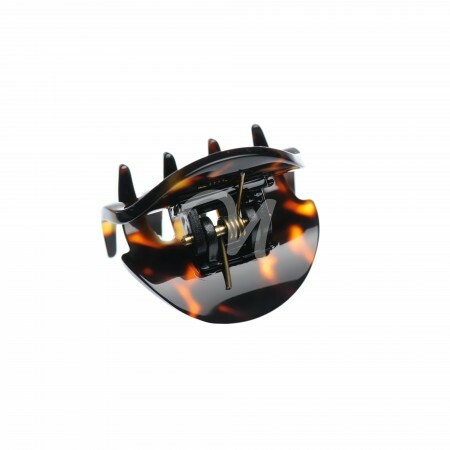 When our customers are lost in the range, we often ask them – how many eye frames did you buy in past 5 years – it usually answers the question which hair claw – hand made or machine made should you buy!